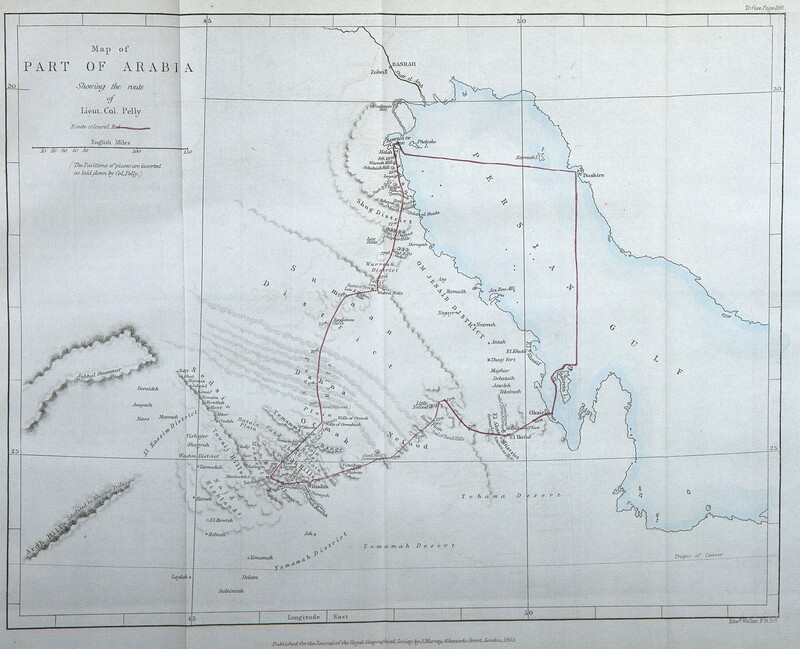 Lewis Pelly, Map of a part of Arabia, 1 inch: 80 miles, in Lewis Pelly, “A Visit to the Wahabee Capital, Central Arabia,” Journal of the Royal Geographical Society of London 35(1865), 169. Size of the original: 20 x 23,5cm. Photograph courtesy of the Bibliothèque Interuniversitaire des Langues Orientales (BIULO PER.5134).